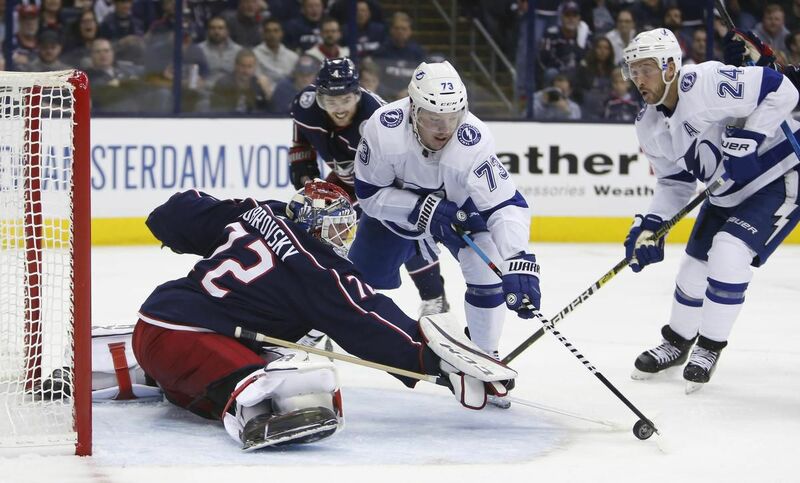 COLUMBUS, OHIO—The Blue Jackets extended their stunning post-season mastery of the Tampa Bay Lightning, beating the NHL’s best team 3-1 on Sunday night and moving to within a game of sweeping the playoff series. Without their top scorer, the suspended Nikita Kucherov, and injured defenceman Victor Hedman, the Lightning and couldn’t find any momentum until late in the final period, and then Bobrovsky rose to the challenge. The night was satisfying for Bobrovsky — he hasn’t been great in the playoffs the last two seasons — and the Blue Jackets, who were 2-8 at Nationwide Arena in three previous post-season appearances. They are the only NHL team that has never won a playoff series.